Known as a major fisheries hub and an entrepreneurial town, Klaksvík launches programs to bolster its business environment — readying a large area for commercial development while committing to renewable energy. For more than a century, the town of Klaksvík has been central to much of the Faroe Islands’ commercial fisheries. 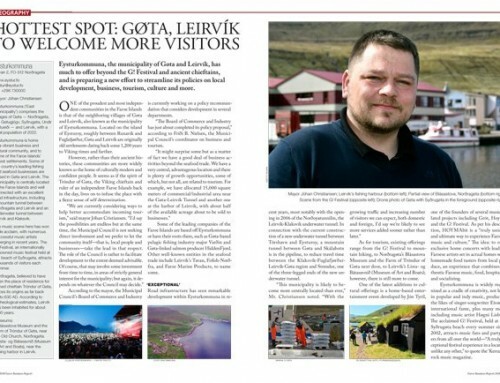 Popularity labeled the ‘Fishing Capital’ of the islands, Klaksvík is also well known for its energizing, entrepreneurial spirit, something the local Council has long been mindful of consolidating and further developing. With Mayor Jógvan Skorheim leading the charge, the Municipal Council of Klaksvík has initiated a development program that includes the allocation of a new area for commercial and industrial use. 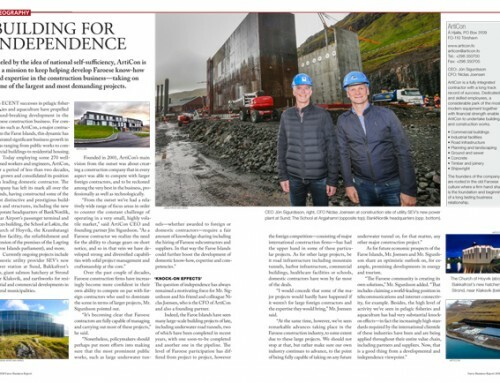 Located by the bay of Boroyðarvík, near the mouth of the giant underwater tunnel to Leirvík, Eysturoy, the area has already attracted investments, according to Mr. Skorheim. A separate development includes a 30 million dkk refurbishment and extension of the old downtown Postal Office to facilitate new office space for small businesses and non-profits. Not far from there, meanwhile, the construction of 30 new apartments is underway, according to the Mayor. At the same time, renewable energy for heating has become mandatory for Council-owned buildings. 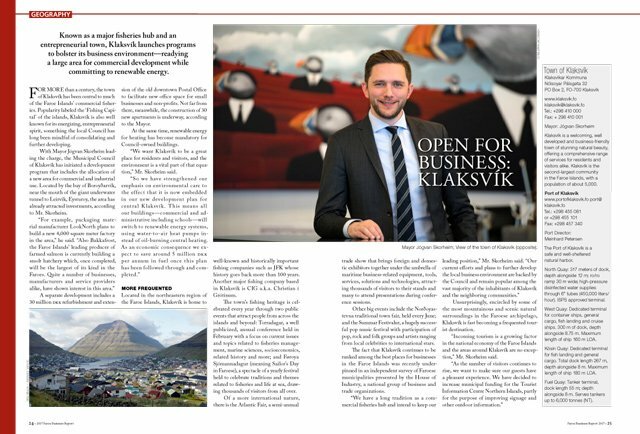 “We want Klaksvík to be a great place for residents and visitors, and the environment is a vital part of that equation,” Mr. Skorheim said. 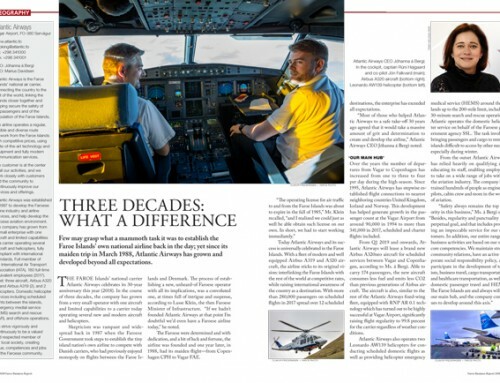 Located in the northeastern region of the Faroe Islands, Klaksvík is home to well-known and historically important fishing companies such as JFK whose history goes back more than 100 years. Another major fishing company based in Klaksvík is CIG a.k.a. Christian í Grótinum. The town’s fishing heritage is celebrated every year through two public events that attract people from across the islands and beyond: Torradagar, a well publicized, annual conference held in February with a focus on current issues and topics related to fisheries management, marine sciences, socioeconomics, related history and more; and Føroya Sjómannadagur (meaning Sailor’s Day in Faroese), a spectacle of a yearly festival held to celebrate traditions and themes related to fisheries and life at sea, drawing thousands of visitors from all over. Of a more international nature, there is the Atlantic Fair, a semi-annual trade show that brings foreign and domestic exhibitors together under the umbrella of maritime business-related equipment, tools, services, solutions and technologies, attracting thousands of visitors to their stands and many to attend presentations during conference sessions. Other big events include the Norðoyastevna traditional town fair, held every June; and the Summar Festivalur, a hugely successful pop music festival with participation of pop, rock and folk groups and artists ranging from local celebrities to international stars. The fact that Klaksvík continues to be ranked among the best places for businesses in the Faroe Islands was recently underpinned in an independent survey of Faroese municipalities presented by the House of Industry, a national group of business and trade organizations. Unsurprisingly, encircled by some of the most mountainous and scenic natural surroundings in the Faroese archipelago, Klaksvík is fast becoming a frequented tourist destination. 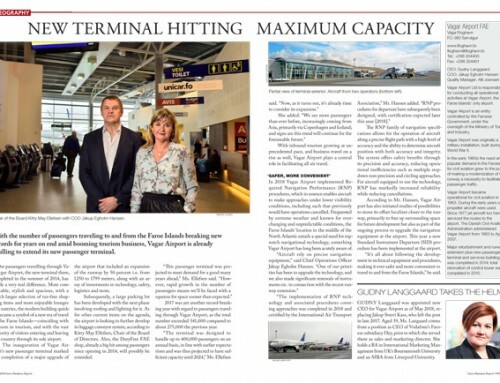 “Incoming tourism is a growing factor in the national economy of the Faroe Islands and the areas around Klaksvík are no exception,” Mr. Skorheim said.